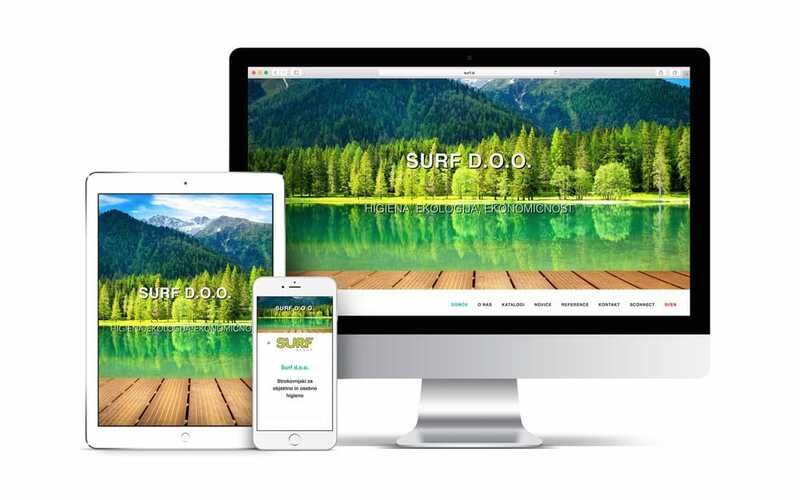 With ecological awareness and the desire for better and cleaner future, we have for the company, SURF d.o.o. 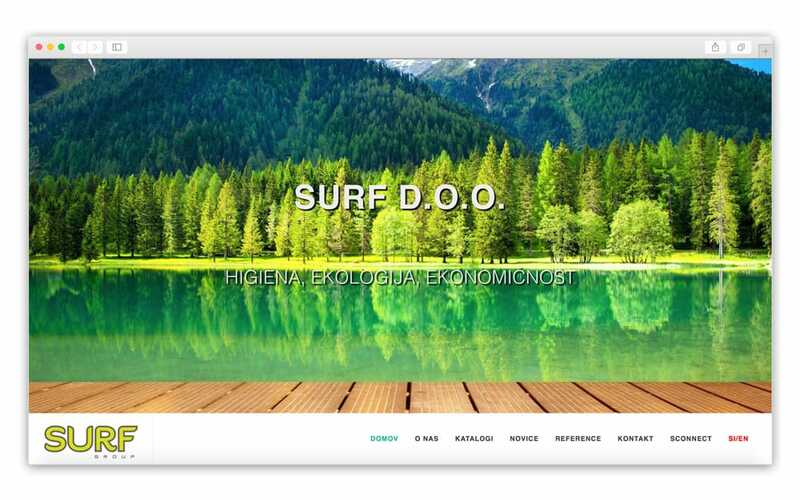 built a website with the main goal to present to visitors the ecological object cleaning agents as well as organic assets for personal hygiene, after which interferes more and more users around the world. Page was created as a “one-page” as it is for the user easier and faster browsing and can information can be found really easily. On the side, the first is a welcome slider of environmental protection and then a customer can find a promotional video because we know that video content easiest to satisfy customers. For the client we have also created a banner ad ECO with a direct link to the online store, that is for visitors simplest way to shop. We have also spiced up the website with additional catalogs of a current offer so that customer stay up to date on all the latest news of company and upcoming products, test, news, blog. One of the great ways to present customer satisfaction with the products is feedback and testimonials slider, which customers can find on this page. We have also included the presentation of their world-class partners. PreviousPrevious project:BAM GUITAR CENTERNextNext project:Intranet, Citrix – SURF D.O.O.